SANTA MONICA, Calif. CelebrityAccess) — The Grammy Foundation announced that they have selected 32 students from high schools across the United States for positions in the 2015 Grammy Camp — Jazz Session. The students, representing 31 cities and 13 states, will travel to Los Angeles for a weeklong experience that will see them participating in the Grammy Awards under the direction of Justin DiCioccio of the Manhattan School of Music, Dr. Ron McCurdy of the University of Southern California Thornton School of Music and associate choral director Susanna Wegner of Kansas City, Mo. 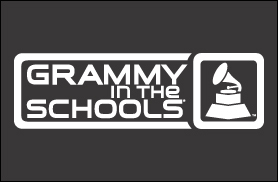 The selected students will perform at various Grammy Week events, including — for the sixth year— an appearance at Grammy In The Schools Live! — A Celebration Of Music & Education, sponsored by Ford Motor Company Fund and supported by the National Endowment for the Arts. On Feb. 5–7, the young musicians will again record at the legendary Capitol Studios & Mastering in Hollywood, Calif., courtesy of the EMI Music Group. Grammy Camp — Jazz Session albums from 2007–2014 are available for purchase at online music outlets such as Amazon, iTunes and Rhapsody.